Click here to visit our new Guardian Roof website. 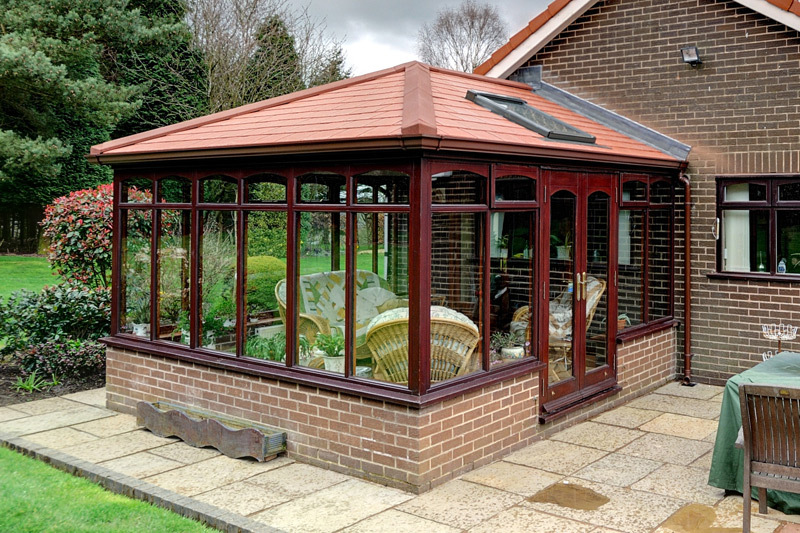 With family lifestyles changing and the conservatory wanting to be used all year round a new tiled roof will be the answer. 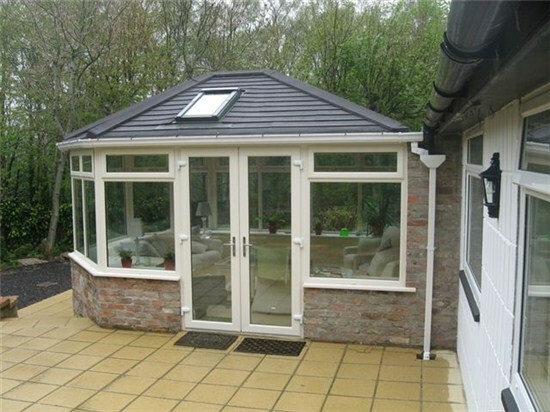 This tiled roof will transform your conservatory into an exciting home space without the added cost. Here at Shropshire Cladding we use the Guardian Roof. First the old roof is dismantled leaving just your side frames. We will then secure a new aluminium ring beam carefully to the head of the side frame. The new roof has structural bars which are similar to the roof bars on a standard glass roof but rather than fitting glass or polycarbonate to this roof we will install 40 mm of high quality insulation between the bars, then 25 mm of insulation to the underside of the complete roof then finish with 72mm of insulated plasterboard with a skim coat of plaster. Then lightweight Tapco or Metrotiles are then fitted to a ply decking which will have a breathable membrane to allow the roof to ventilate. The roof tiles come in a range of colours to match your house roof. 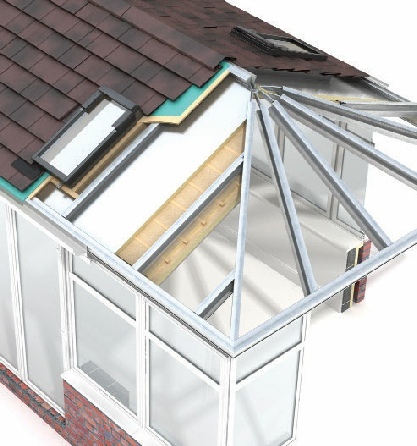 This will achieve a “U” value of 0.18 allowing you to use your conservatory all year round.